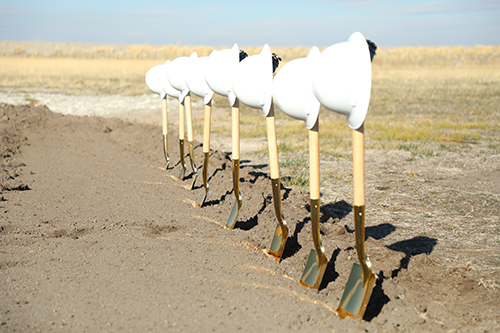 The official groundbreaking for the Logan Regional Wastewater Treatment Facility was held on November 16th in Logan, Utah. 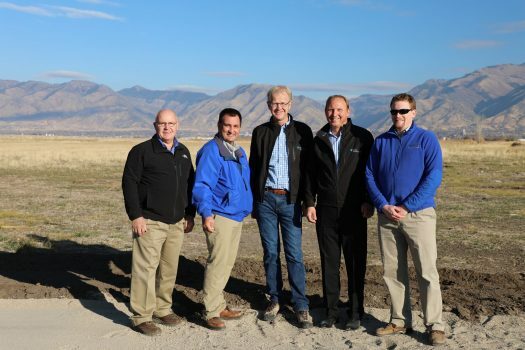 The new facility will produce higher quality effluent flows to the nearby Cutler Reservoir and will allow the City of Logan to treat a greater amount of wastewater, to a higher quality, with a smaller footprint. The facility will also replace an existing lagoon system that currently provides wastewater treatment for the City and surrounding. Once complete, the new facility will increase the City’s treatment capacity up to 18 mgd. MWH Constructors serves as the CM/GC on this $135M project which includes construction of new facilities that will tie into the existing headworks and outfall which will include, a magnetite process, solids holding and processing, secondary clarifiers, a new influent pump station feeding a new fine screen headworks and grit removal structure, new biological reactors, UV reactors and a connection to the effluent discharge.